High achievers often have ‘all-or-nothing’ personality styles, approaching life with dedication, determination and drive to succeed. However, sometimes that success comes at too great a cost. The drive to focus on one tasks or area of life to the exclusion of everything else has undeniable benefits, but can lead to mental and physical fatigue, health problems and even relationship issues. 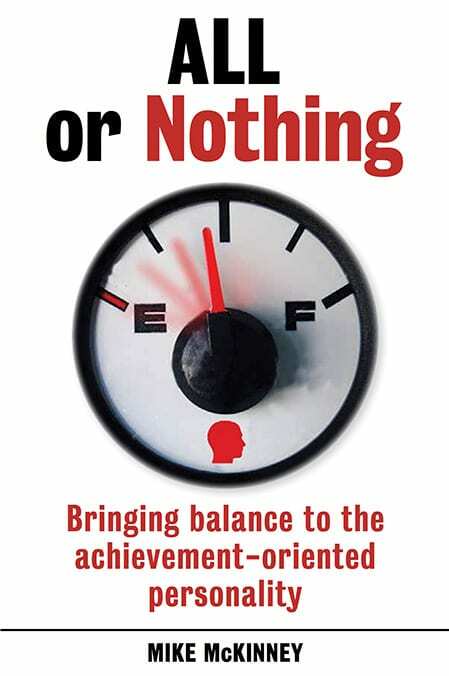 In this insightful, empowering book, psychologist Mike McKinney draws on his decades of experience to explore how balance can be brought to the all-or-nothing personality, whilst retaining its best qualities, to promote a more meaningful and rewarding life.